Declared as the World Cultural Heritage by UNESCO in 1997, the ancient city of Pingyao dwells in the central Shanxi Province of rural North China. What makes it unique enough to be considered by UNESCO is the fact that it was an erstwhile financial centre of the ancient world, and therefore houses some remarkable monuments, buildings and artefacts. 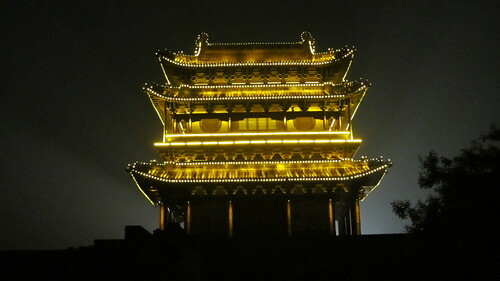 City tower of Ming Qing at night. 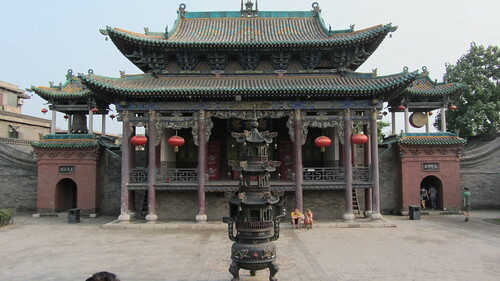 The city of Pingyao played a prominent role in the economic development of the Ming and Qing Dynasties. With an area of 1,260 square kilometres, it houses five towns and nine villages. The city was endowed with a group of established Jin Businessmen as compared to other the other cities on the Yangtze River. The birth of the foremost Chinese exchange shop was inaugurated in Pingyao. The next century witnessed emergence of large exchange shops in People Republic of China. It can be undoubtedly said, Pingyao was the Wall Street of China during the 18th century. The economic development paved path for a series of magnificent residences and monuments. Today, Pingyao is a major tourist attraction, even though it does not hold the ancient significance of an economically prosperous city. At present, Pingyao’s economy is widely dependent on agriculture and the region is popular for its beef products. Other much appreciated products from the region include cotton, lacquerware and grains. Ming Qing Street situated amid the Pingyao Ancient City, flawlessly preserves the cultural relics of the exchange shops built during the Ming and Qing dynasties. It is amongst the most affluent business avenues of the ancient city. You will discover 78 ancient exchange shops flaunted across the 400-meter-long street. Also, pawnshops, tobacco stores, drug stores, silk shops and meat store are also constructed here. Ancient City Wall constructed 2,700 years ago and expanded by the Ming dynasty is the immaculately preserved wall. 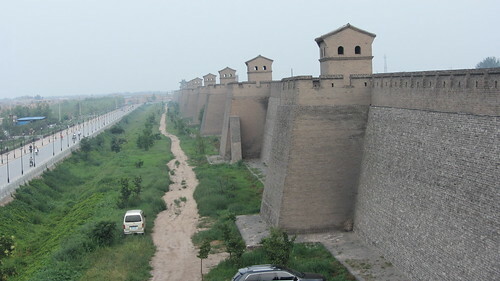 The circumference of Pingyao city wall measures 6,157.7 meters. The top of the wall measures 3X 6 meters in width and the bottom is 9X12 meters wide. The wall is10 meters tall. The walls in the eastern, western and northern directions are square and straight, while the wall erected in the south is serpentine. 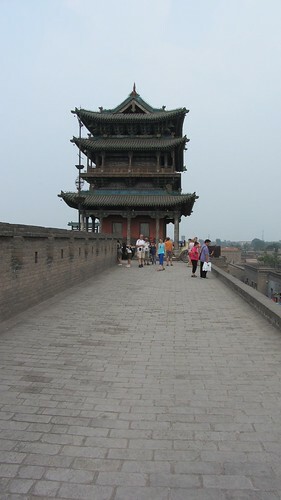 Hence, Pingyao is often referred as the “city of the turtle.” The southern gate resembles the head of the turtle while the northern gate is like the tail. The four gates in the east and west are like the four legs of the turtle. 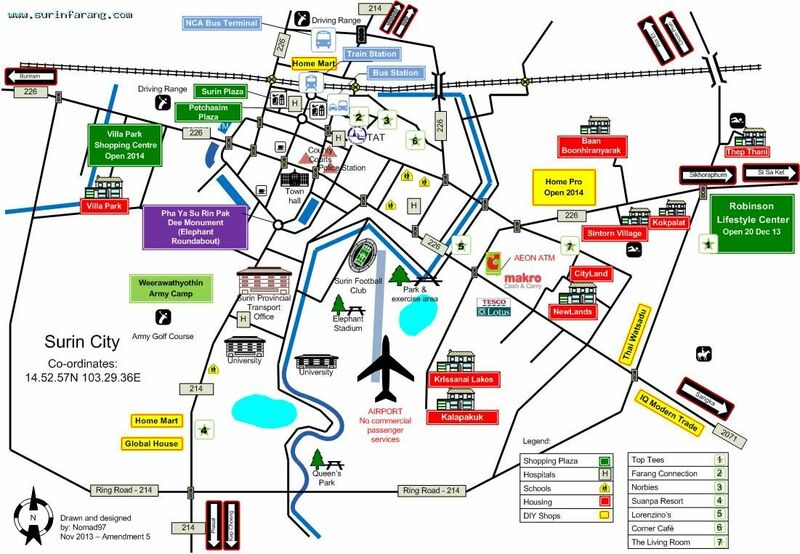 The four main streets, 72 lanes, and eight small streets signify the back of the turtle. Turtle was the symbolic representation of peace and longevity in ancient China. From the top of the city walls. reaching up to Europe and Southeast Asia. Qiao Family Courtyard situated in the northwest of the ancient city of Pingyao is a courtyard estate. This property is at a distance of 30 kilometres from Pingyao and covers an area of 9000 square meters. It boasts of 313 rooms erected inside the 4000 square meter area, and houses 6 large courtyards and 19 smaller courtyards. Great Wang’s Courtyard (Wangjia Dayuan) is the representation of the supreme residential architecture of the Qing Dynasty that existed between1644-1911 AD. It is located at Jingsheng Town of Shanxi Province and displays the finest and largest collection of residential construction of the country. 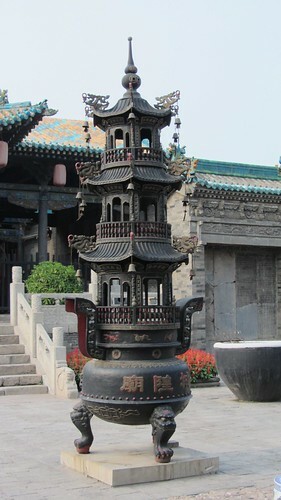 In 2006, it has been listed under the National Key Cultural Protection Units. Zhangbi Ancient Village popularly referred as Zhangbi Ancient Castle is located at Longfeng Zhen in the Jiexiu City of Shanxi Province. In 2005, the village was awarded its place in the Top 10 Charming Town by CCTV, and simultaneously was considered under the National Heritage Conservation Units. Popular for its marvellous and enigmatic architecture, the Zhangbi Ancient Village resembles a castle, but in fact it has a long underground tunnel that connects it with the outside world, secretively. It was a multi-purpose castle because it served as a military centre, production site, residential area and place for religious activity throughout the Chinese history.